As communities work to change systems, improve outcomes for kids and close disparity gaps, one of the most common questions is: How do we talk about this work? Systems change efforts take time and don’t result in immediate outcome improvement. But a multitude of wins and successes occur on the path to changing behaviors, practices and policies to best serve kids. The communities in the StriveTogether Accelerator Fund are tackling this challenge head-on. On March 7-8, 2017, we brought the first cohort of the StriveTogether Accelerator Fund communities together in San Diego to learn from one another to advance their progress to Proof Point. 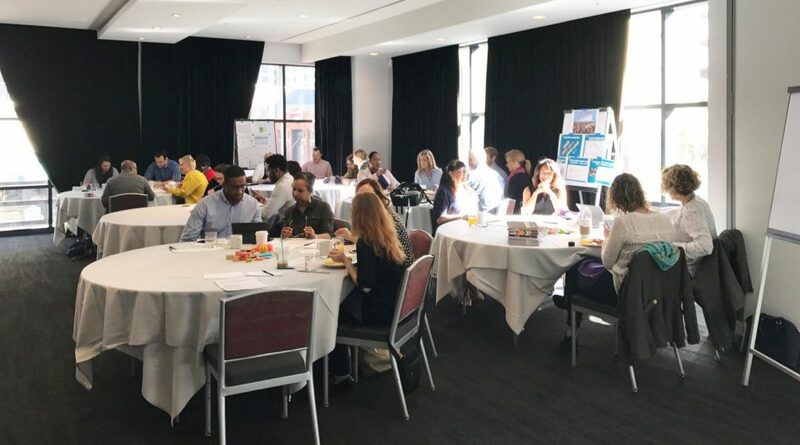 Attendees from the six community partnerships learned collaboratively from one another to refine their strategic priorities for the rest of the year and were introduced to new frameworks for data infrastructure, community engagement and communication. One tool that particularly resonated with attendees was the I2L2: A Formula for Change. Developed by ORS Impact and the Hawai’i Community Foundation, the I2L2 Framework helps social change initiatives communicate impact and value as levers to sustainably moving the need on major issues. It’s based on a seemingly simple equation: Impact = Influence + Leverage + Learning. The authors of I2L2 note: “Too often, however, we underestimate or altogether fail to acknowledge other powerful changes that occur as the result of implementing thoughtful strategies aimed at creating sizable and lasting impacts. These other types of changes are an inherent part of the formula for creating durable change across multiple systems in complex circumstances” (I2L2: A Formula for Change). The framework is predicated on the notion that communicating four components of change work is necessary and helpful to realize the full value and contribution of an initiative. Each component of the equation reflects a key communication strategy a partnership can use to emphasize the different work and strategies taking place. Impact – This reflects the change that an individual, population or geographic region experiences. You can think of this as the “better off” needle-moving results of the work — the results that take time to achieve but are game changers for a community. Influence – The systems-level changes experienced by partners (organizations, sectors, etc.) are major wins. These are the changes in practices, policies, norms and structures that take shape by virtue of this collective work to sustain cradle-to-career infrastructure and outcomes. Leverage – Working with partners to shift or redirect resources is a primary role of a partnership. As resources begin to flow to the practices, behaviors or strategies that achieve results, a partnership can showcase the value of shared commitment and action. Learning – The knowledge or field-building work — part and parcel of what a cradle-to-career partnership is meant to do — is often an under-utilized messaging strategy. 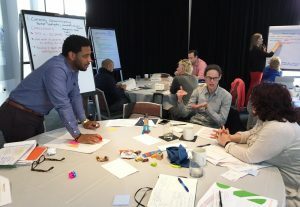 Sharing the “fail forward” stories, key takeaways and contributions to the field can shine a spotlight on the ongoing efforts to positively impact all kids in the community. 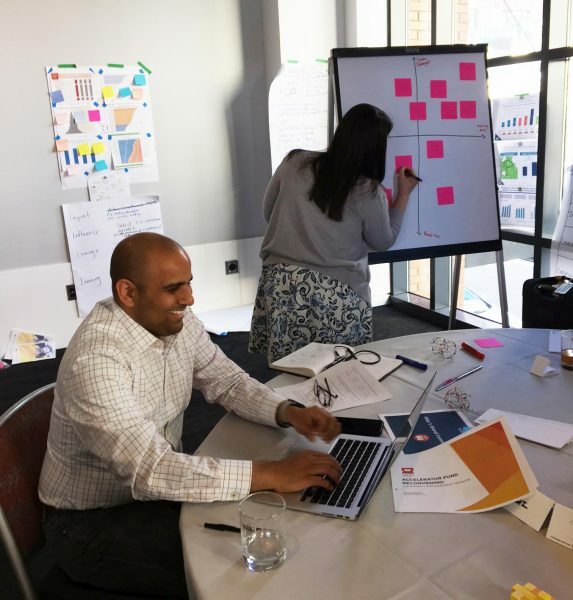 As the Accelerator Fund communities began mapping their own communication efforts — and strategized to build messaging for each part of the I2L2 equation — I was struck with an “aha” sense of joy. A sense of joy that comes from people uncovering opportunities to overcome a challenge that, while similar across communities, is deeply rooted in local context. 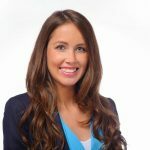 As partnerships recognize and codify the multiple ways they bring value to their community with their partners and stakeholders, they can start to crack the code around communicating complex efforts to achieve results.